FREE 2017 Planner : Bright and Beautiful! 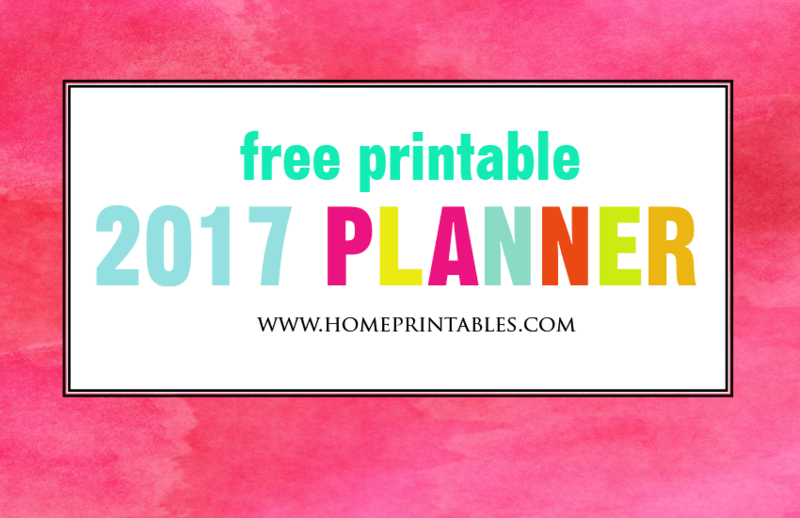 It’s the time of the year that you begin to look for free 2017 planner to print. Well, I have a great news for you! 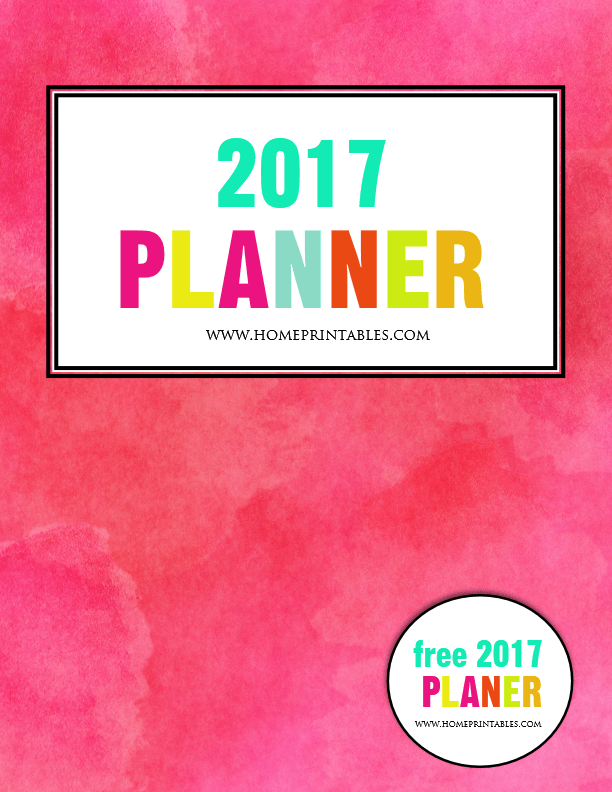 Today in Home Printables blog, I am releasing a 2017 year planner that you can download and use outright. It’s something bright and beautiful, something I think you will love to use! 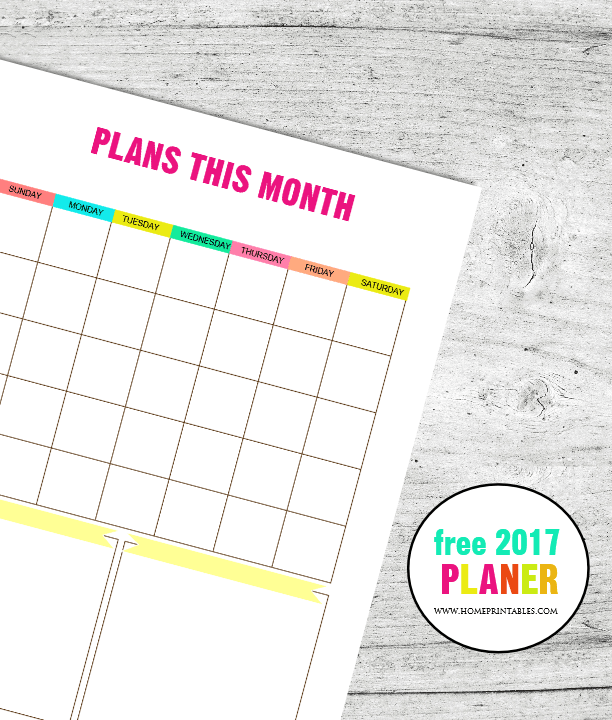 Planning your 2017 will be fun with this bright and cheery planner free printable planner! I am just so excited to share this planner because it is Home Printables’ first ever year planner to share! Since several of you love my Bright and Beautiful set of calendars for next year, this planner design is inspired by that! Enjoy the fun colors plus the simple and truly functional layout of each page you see in the planner. I am beyond thrilled to show the pages so let’s now have a quick planner tour! Your free 2017 planner cover comes in textured pink background with splashes of playful colors for the title. The cheery looks exudes positive vibes! 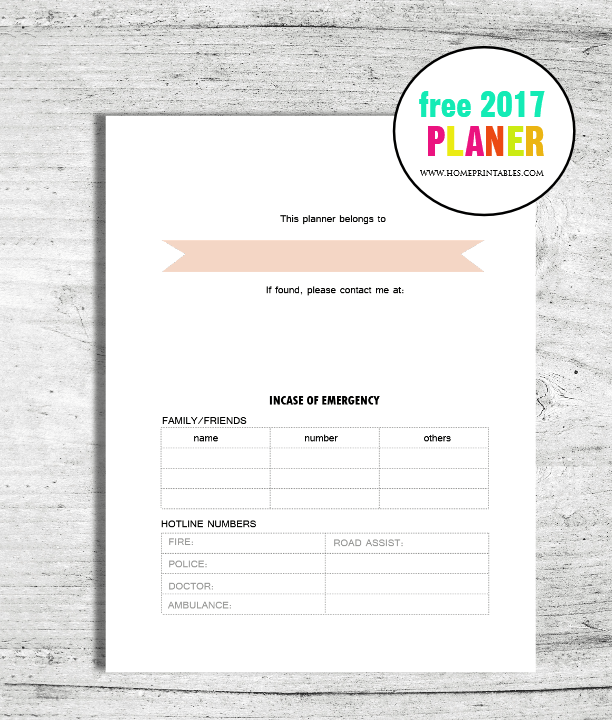 The next page that you’ll see in this printable free 2017 planner is a sheet where you can write your personal information such as your name and your contact details. Moreover, there are also areas where you can fill in important contact details in case of emergencies such as numbers of police, fire station etc. After the personal info page, you’ll find this pretty goal-setting sheet where you can lay your plans for the year. Here you can write your top 10 goals for 2017! There is also a box allotted after each number so you can check the status of your goals within the year! Excited to plan the months of the new year? The next page of your planner is something that you’ll be very much needing to plan your every day of the month. There are also two boxes towards the bottom of the page for you to write your personal reminders! 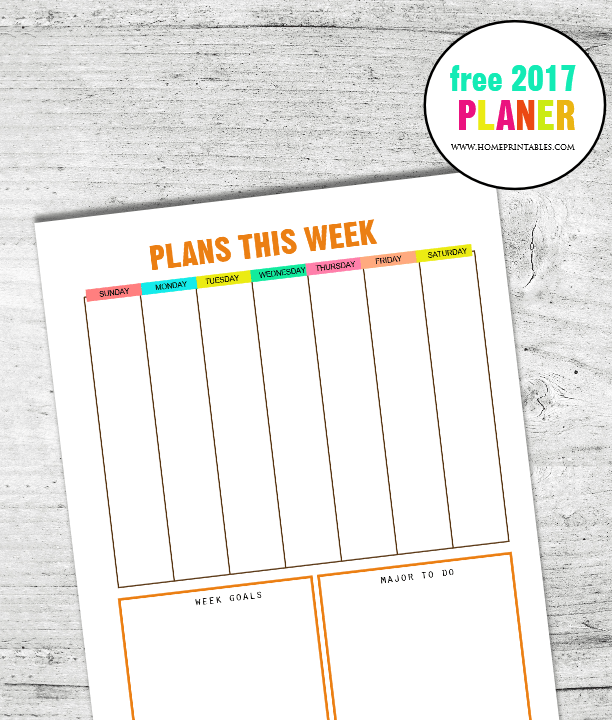 In addition to your monthly planning page, this free 2017 planner also comed with a weekly planning sheets! This page is perfect to use to map out your plans for the week. It also has spots for you to write your weekly goals as well as your major to-dos! Finally, I know you’ll need pages for your home life! 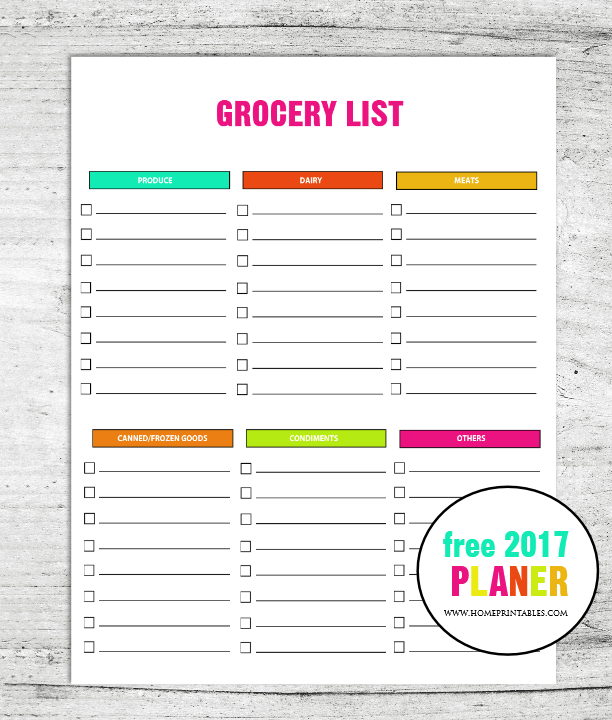 Well of course you’ll also get pages to ease you such as this cute grocery list! What’s nice about this sheet is that your grocery needs are grouped into categories. You’ll have lesser time to list your needs plus you’ll be quicker at the store with this! Would you like to get a copy of this planner? If you think you can use it, your pdf file is right over HERE. 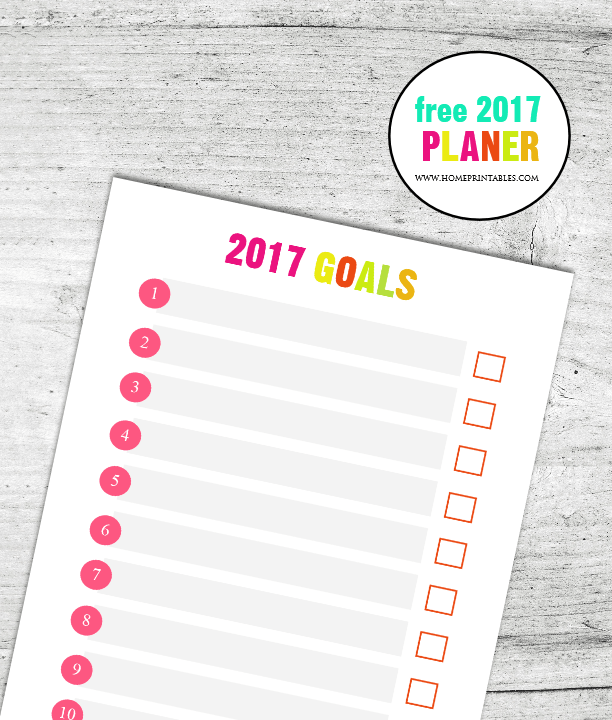 I hope this free 2017 planner will help you stay organized and be more productive! This planner is free for personal use only! Should you like to share it in your blog for a roundup post, which I will be very grateful of, please use 1 or 2 images only and link me back directly to this post, not to the PDF file. Lastly, This planner is designed to be printed in a standard, letter-size paper (8.5 x 11″). Enjoy! May you be able to use this free 2017 planner. Have a great year ahead!